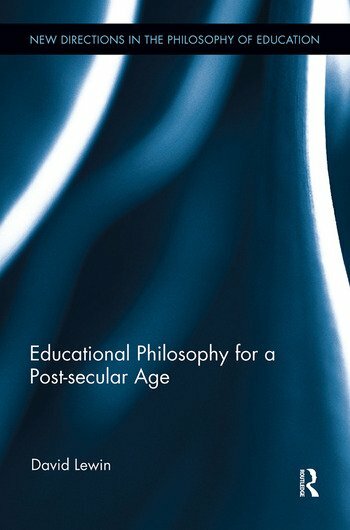 Educational Philosophy for a Post-secular Age reinterprets post-secular insights for educational theory by recognising that the persistence of religion in contemporary life raises new questions about the place of religion in education. Two common assumptions are critically examined: first, that the better educated a society becomes, the more secular it becomes, and second, that religion can and should be separated from public education. For too long, religion has had an uneasy relationship with education, being seen either as a foreign invader, a problem to be solved, or as a mechanism by which to reinforce particular religious, cultural or national identities. In order to move educational theory beyond the debates about indoctrination and competing rights between parents, children and nation states, the argument undercuts rationalist conceptions of religion and education that tend to frame the debates in terms of competing truth claims or worldviews. David Lewin is Lecturer in Philosophy of Education at the University of Strathclyde, Glasgow, UK. Dr. Beth Green is Program Director, Cardus Education. Cardus is a social policy think tank dedicated to the renewal of North American Social Architecture.